Anadolu Efes Istanbul advanced to the Top 16 from Group C by edging Cedevita Zagreb 73-81 in the Croatian capital on Thursday. Efes improved to 5-3 and secured a Top 16 berth along with Olympiacos Piraeus, which qualified a day before it faces Zalgiris Kaunas for the top spot in the group. Cedevita dropped to 2-6 and will run out of Top 16 chances this week if EA7 Emporio Armani beats Caja Laboral Vitoria on the road. Jordan Farmar paced the winners with 21 points. 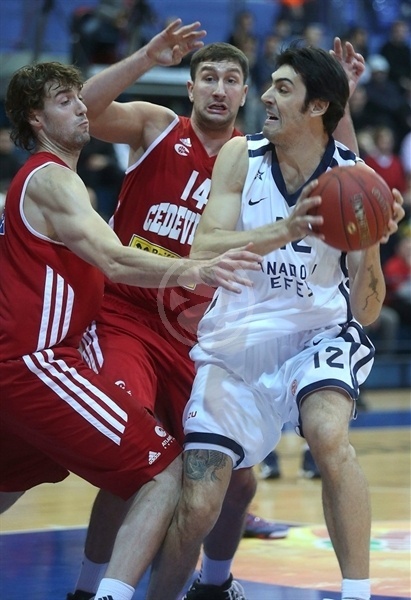 Sasha Vujacic added 17, Kerem Gonlum 11 and Semih Erden totaled 10 points and 10 rebounds for Efes. 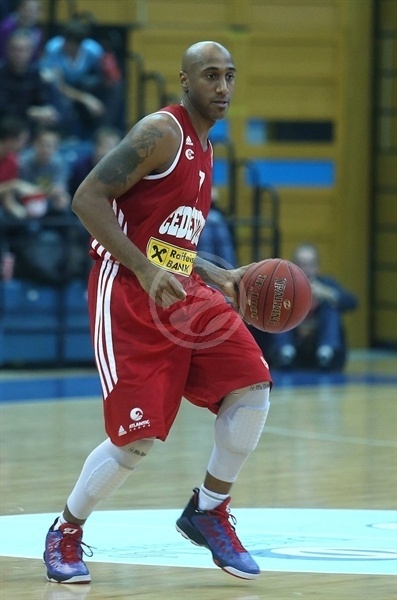 Bracey Wright led Cedevita with 24 points. 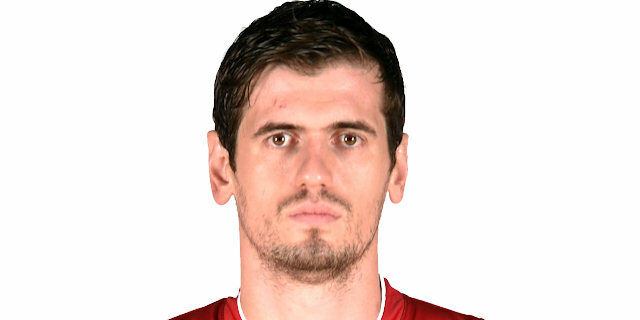 Mickael Gelabale added 18 and Luksa Andric had 12 for the hosts. Wright shined early and got some help from Gelabale and Andric to give Cedevita a 22-16 lead in the first quarter. A jump hook by Andric soon boosted Cedevita to 33-28, but Vujacic and Farmar fueled a 2-22 run that gave Efes a 35-50 margin early in the second half. Cedevita switched to an effective 2-3 zone defense and Wright and Vlado Ilievski brought the hosts back to life, 57-59, early in the fourth quarter. 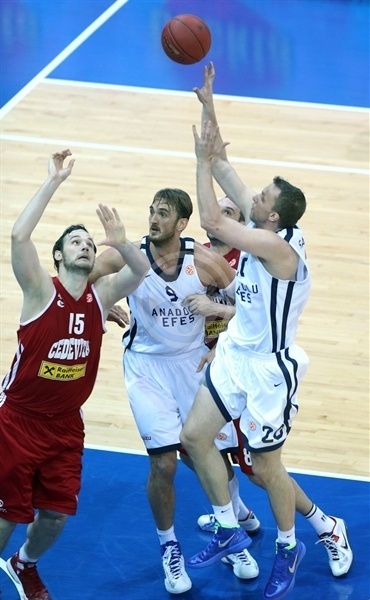 Efes led all the way, but Predrag Suput kept the hosts within 70-73 with two minutes to go. Erden and Farmar stepped up in crunch time to seal the win and send Efes to the next round. Bracey Wright got Cedevita going with a three-pointer from the top of the key. Josh Shipp shined with a one-handed turnaround jumper, which Miro Bilan matched with a jump hook. Shipp and Wright traded five-meter jumpers and Sasha Vujacic soon brought Efes within 7-6. Mickeal Gelabale struck from downtown, as Cedevita managed to prevent Efes from running its offense through Jamon Lucas and Semih Erden. Shipp kept pacing Efes with a layup off a steal. Predrag Suput erased that with a long two-pointer. 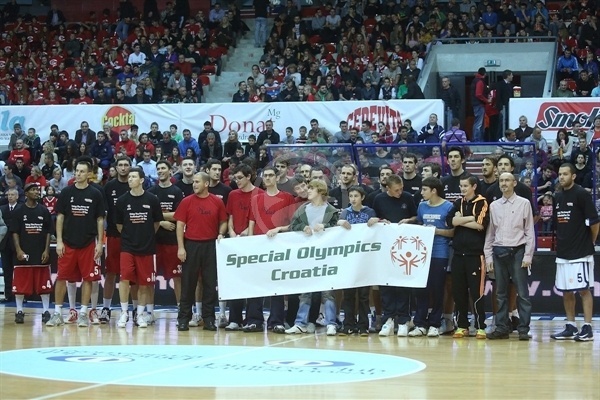 Vujacic nailed a catch-and-shoot jumper and a free throw by Dusko Savanovic made it 12-11. Gelabale buried his second triple and a jumper by Wright boosted the hosts' lead to 17-11. Savanovic nailed a three-pointer from the top of the key and Shipp fed Jordan Farmar for a layup for a 17-16 score. Gelabale sank free throws and Luksa Andric did even better with a triple to restore a 22-16 Cedevita lead. Savanovic beat the shot clock with a baseline jumper and Farmar improved Wright's free throws with a bomb from downtown to keep Efes within 24-21 after 10 minutes. 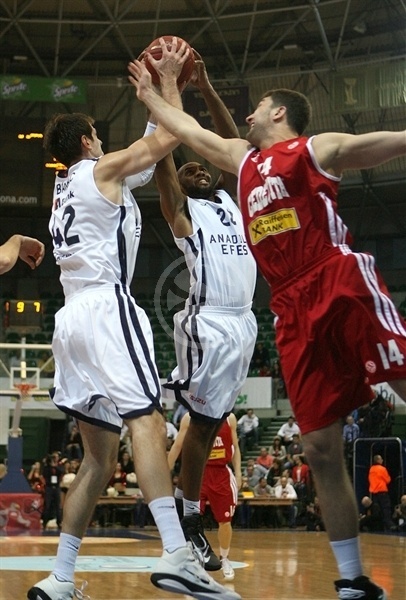 Stanko Barac dunked early in the second quarter and a fast break layup by Kerem Gonlum gave Efes its first lead, 24-25. Gelabale ignited the crowd with a dunk and a basket by Andric gave Cedevita some fresh air at 28-25. Cedevita tried to slow the game tempo with Vlado Ilievski on court. Gelabale took over with a seven-meter bomb, but a rainbow jumper by Farmar brought Efes within 31-28. Andric shined with an off-balance jump hook that Vujacic matched with a long jumper. Farmar hit foul shots, as Efes improved its defense midway through the second quarter. Meanwhile, a three-pointer by Vujacic put the guests back ahead, 33-35. Wright took over with a stop-and-pop jumper, as Efes stopped finding open shots in transition. Gonlum stepped up with a jump hook for a 35-37 lead. Cedevita could not find the way to the basket and Vujacic struck from downtown and Farmar followed free throws with a buzzer-beating jumper that fixed the halftime score at 35-44. Vujacic buried a three-pointer immediately after the break and Shipp also struck from downtown to break the game open, 35-50, after a 2-22 run that bridged the halves. Wright tried to change things with a jumper, which Erden erased with an easy basket. Cedevita called timeout and switched to a 2-3 zone defense. Erden split free throws and a three-pointer by Wright gave the hosts some hope at 40-53. Bilan dunked, but immediately returned to the bench with 4 fouls. Andric shined with a layup-plus-foul and Wright struck again from beyond the arc to bring Cedevita back to life, 49-54. Farmar quickly answered from downtown, but Ilievski took over with a driving layup. Efes kept struggling to score against the hosts' zone defense and Suput brought the crowd to its feet with a backdoor layup. Gonlum rescued Efes with a high-flying tip-in, which Ilievski erased with free throws to get within 55-59 after 30 minutes. Andric took over with a put-back basket early in the fourth quarter, which Farmar bettered that with a three-pointer in transition. Barac stepped up with a turnaround jumper and Gonlum followed that with an acrobatic basket – and the free throw that came with it. Gelabale buried a three-pointer from the top of the key and a fast break layup by Wright forced Efes to call timeout at 62-67. Wright capped a 7-0 Cedevita run with a jumper, as Gonlum stayed on fire with an alley-oop layup. Gelabale scored around the basket, but Erden erased that with a jump hook, good for a 66-71 Efes lead with over three minutes left. Vujacic shined with a critical layup that Suput matched with a floating jumper in the paint. Suput kept pacing Cedevita with a close basket, but Erden followed free throws with a tip-in to seal the outcome, 70-77, in the next-to-last minute. Ilievski downed a three-pointer, but Farmar made sure to keep Efes out of trouble and send his team to the Top 16. "When you play against great teams you have to play well for 40 minutes. We had two bad periods of play at the end of the first half and at the beginning of the second half. At one moment we couldn’t stop their offense and that’s why we decided to play zone defense. We cut their lead to 3 points and we stayed close until the end. But we were missing points in the paint. Of course, in the ABA league we will score more and I believe that in the future we will play better. I want to congratulate Efes, but my players also deserved congratulations. They play at their maximum." 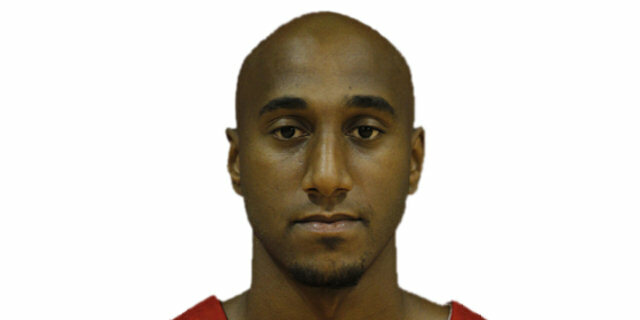 "Cedevita shot very well in the beginning. Some of shots they made in the first quarter were very tough, but in the second quarter we took the lead. After getting an even bigger lead in the third quarter, we slowed down. They started to play zone defense and we allowed them to come back in the game. In the final quarter we decided the winner with our creativity on offense. This is a very important win for us. We secured a spot in the Top 16 and this gives us a chance to work on our game in the last two games in this group. We didn’t panic after the great opening by Cedevita. We knew that it can’t last forever. 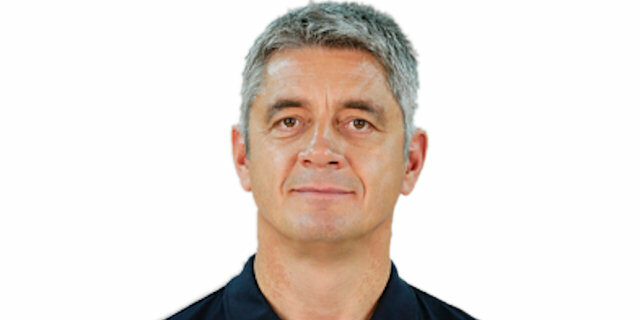 Cedevita have a new coach and before the game we had some questions regarding their offensive setups. But we were primarily focused on our game and the most important thing was to play by our game plan." "What can I say? We played solid on defense. When we switched to zone defense, we cut their lead significantly, but their offensive rebounds and our turnovers in the crucial moments hurt us, especially in the end of the game. We played as a unit today, unlike in previous games when we played slow and didn’t play on the same page. I think we did fairly well today and I believe we will be fine down the road." "This was a very important game for us. This win took us to the Top 16. After a lot of lows and highs in the beginning, we were able to win this game. This is a great result for us. Speaking of myself, I couldn’t play for a month and a half, but I am back on the court and it is getting better."